The 4th Annual Over 50 Fair took place on Sunday, September 29, 2013 at the Melville Marriott to a crowd of over 600. Melville, NY - October 4th, 2013 - The 4th Annual Over 50 Fair took place on Sunday, September 29, 2013 at the Melville Marriott to a crowd of over 600. The one-day expo was once again organized as a “celebration of life on Long Island” for people over 50. To make it even easier for attendees to participate in this year's event, there was free valet parking as well as free scooter rentals for those who needed one, compliments of Patriot Mobility Inc.
“The Over 50 Fair is part health and wellness fair, part conference and part activities and lifestyle expo,” said Fair Director Barbara Kaplan, who will once again organize Long Island’s popular All Kids Fair on April 27th. With 30 classes covering a variety of disciplines, there was “something for everyone at the Over 50 Fair,” she added. Some of the speakers were new this year, but many old favorites returned. Classes included 2 comedy shows, Zumba, laughter yoga, social media, weight loss, bio-identical hormones, essential oils, and iPad apps. Almost 100 exhibitors participated by offering a broad spectrum of services and products relevant to baby boomers and seniors, including local medical and dental practices, financial experts, and providers of education, travel services, hypnosis, weight loss, vitamins, in-home care, and even psychic readings. Meditation classes took place all day. Jackie DelleGrazie of New Hyde Park commented that the best thing about the Over 50 Fair was “the variety of exhibitors. There was so much to see that I will have to go earlier next time to get to all of them,” she said, despite spending 3-4 hours there. The Fair’s slogan, “60 is the new 50!” summarized the philosophy of the event’s organizer, that Americans are living longer and should seek to live life to its fullest. Says Kaplan, "There are so many opportunities here on Long Island. You just need to know where to look to find them. 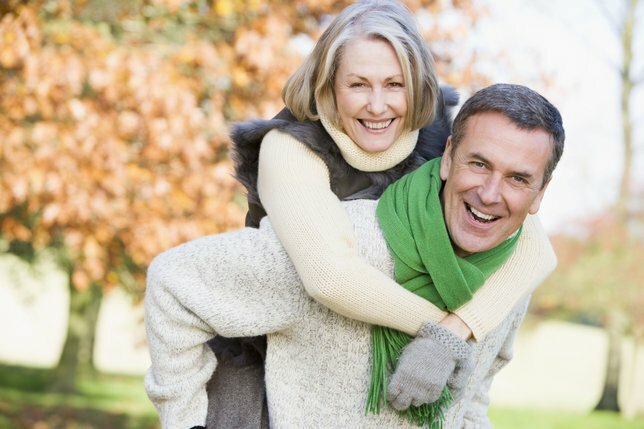 Many can be found at the Over 50 Fair." Free health screenings were available, such as body fat analysis, blood pressure checks, and oxygen saturation. Other cardiac testing was also available from Advanced Cardiovascular Diagnostics. Food samples were provided by Mio Posto Italian Restaurant, Mulberry Street of Babylon, and Love & Quiches Gourmet. The INN (Interfaith Nutrition Network), a local non-profit, handled the raffles. Attendees donated 120 pounds of non-perishable food and over $330 in cash donations and received raffle tickets in the hopes of winning exciting and valuable prizes. Other non-profit organizations that participated included the Lymphatic Research Foundation, SeniorNet at Family Service League-L.I., and the Tobacco Action Coalition of Long Island. Attendees were greeted at the event by several beauty queens including Ms. New York Senior America 2013, Virginia Werner. The Over 50 Fair was sponsored by North Shore-LIJ Health Systems, HealthCare Partners IPA, LongIsland.com, Senior Solutions Network, Quantum Wellness & Healing Center, and Bath Pro. To learn more about the Over 50 Fair, please visit their website at www.Over50Fair.com. To learn more about the All Kids Fair, visit their website at www.AllKidsFair.com. Subject: LongIsland.com - Your Name sent you Article details of "Fourth Annual “Over 50 Fair” a Huge Success"